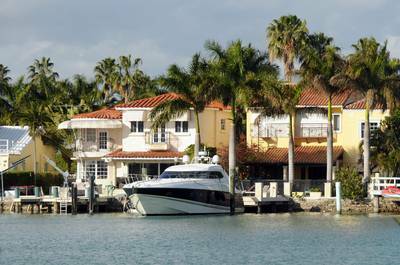 Miami is nothing less than a haven for those who enjoy boating and other watersports. The lovely weather and beautiful waters make for year round enjoyment. This is certainly a plus for boaters, which means that there are loads of boats in the area. Considering the number of vessels on the water, there are bound to be accidents resulting in damages. For the most part, boaters are respectful of others on the water however; there are always the handful of people out there who think they can do whatever they want, whenever they want. These are generally the people who wreak havoc on other boaters. When boating accidents occur, it is essential to have a reliable company for marine surveyor services in Miami. Pardon the pun but without a professional marine surveyor, you’re sunk. Simex International – Marine Surveyors offers complete marine damages surveys in Miami Dade County. In the event your vessel is involved in a boating accident, your insurance company will require you have a marine damages survey performed by a qualified marine surveyor in Miami. Just as when you’re involved in an auto accident, your insurance company requires their claim’s adjuster to ensure the damages are accurate, so does the marine insurance company. This is the reason a certified marine survivor is required to perform the marine damages survey in Miami. A detailed report will let the insurance company know exactly what it will take to get the vessel in tiptop shape. Simex International – Marine Surveyors is certified to perform marine damages surveys in Miami. It is essential that the company doing the repairs to the vessel be checked on a regular basis, as well as having the repairs inspected by a marine surveyor in Miami. The Miami marine surveyor should be right on top of things to ensure the repairs are moving along swiftly and correctly. He is your ace in the hole when your vessel has been involved in an accident. The experts at Simex International – Marine Surveyors in Miami can help to make sure that your vessel is seaworthy as quickly as possible. Simex International – Marine Surveyors in Miami offers vessel owners a plethora of necessary marine services in Miami Dade County. From pre-purchase and condition surveys and family boats training, to crack and fissure testing and hull moisture content analysis, the professionals at Simex International – Marine Surveyors in Miami have your back. Call 954-854-8181 for all your marine surveyors services needed to keep your boat afloat.